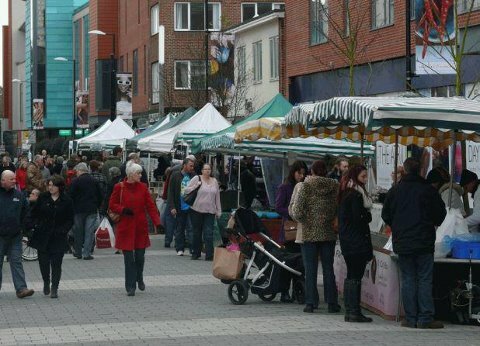 The Final Camberley Farmers Market of 2012 is this Saturday 24th November, So if you are looking for some fine local fresh produce of cheese, bread, fruit, vegetables, fish and Seafood, Fresh Meat, Savoury Pies and lots more, then head down to Park Street, Camberley where you will find lots of great stalls. This entry was posted in Camberley, Enviroment, Events, Family, Food & Drink, Free Events, Interests, Local, Local Produce, Shopping, Surrey, Surreyheath. Bookmark the permalink.